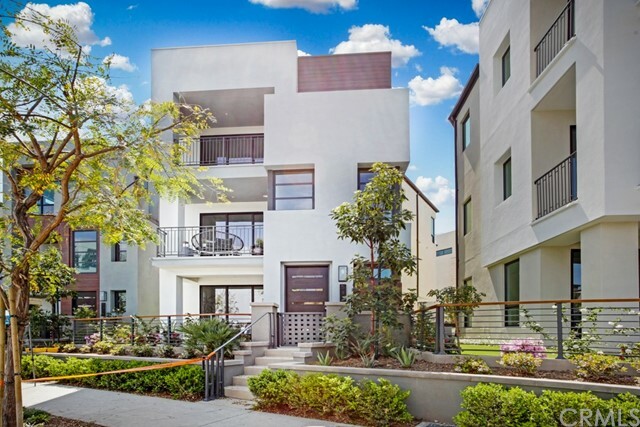 All Playa Vista homes currently listed for sale in Playa Vista as of 04/21/2019 are shown below. You can change the search criteria at any time by pressing the 'Change Search' button below. If you have any questions or you would like more information about any Playa Vista homes for sale or other Playa Vista real estate, please contact us and one of our knowledgeable Playa Vista REALTORS® would be pleased to assist you. "5918 Firefly represents the final 5-bedroom home available at Jewel Playa Vista. This new construction luxury home is a perfect blend of modern architecture and sophisticated design combining clean lines and natural light, with a classic California coastal feel.Located on a quiet Playa Vista walk street lined with palm trees and a perfectly manicured green belt, this three story luxury residence boasts high ceilings, stunning windows and an expansive open floor plan. The Master Suite impresses w"
"Located on a quiet Playa Vista walk street lined with palm trees and a perfectly manicured green belt, this three story luxury residence boasts high ceilings, stunning windows and an expansive open floor plan. This new construction luxury home is a perfect blend of modern architecture and soothing natural tones combining clean lines and natural light, with a classic California coastal feel. The Master Suite impresses with an 2 walk-in closets, a walk-out deck, and Master Bath escape with dual si"
"One of only 22 Trevion homes, this plan 3 model is a rare gem. This walk street facing home offers a spacious & open floor plan ideal for indoor/outdoor living. Unwind in the immense great room which flows graciously through sliding glass doors to a tranquil courtyard boasting Moroccan tile and stylish fireplace. Channel your inner chef in the stunning gourmet kitchen equipped Quartzite countertops, expansive eat-in island, Sub-Zero & Wolf appliances, chic white cabinetry, & separate area for co"
"Rare new construction luxury single-family on Westside in sought after Playa Vista in Silicon Beach. 4 Bed, 3.5 Bath with private elevator, 2 Car Garage and Guest Space. Spacious and comfortable Loft opening to amazing, large Covered Deck with disappearing pocket doors perfect for entertaining. Includes popular 2nd Master. Hardwood floors and designer tile throughout with upgraded carpet in bedrooms. Chef s kitchen with Wolf & Sub-Zero appliances and contemporary cabinetry. Conven"
"This stunning beachy contemporary home, with patios on every level, embodies southern California indoor/outdoor living. The main level of the home is an entertainer's dream. It features an open floor plan, soaring ceilings, abundant windows, an elevator, wide-plank wood flooring, Lutron remote shades, Sub-Zero appliances, and a gourmet cook's kitchen that leads out to a patio & private yard. This oasis has dual master suites, the 2nd level master having a spa retreat with soaking tub, large show"
"Situated near a spacious corner in Playa Vista, this three level Luxury Residence balances contemporary architecture and modern design with open spaces made for both relaxation and entertaining. As a former Model Home, upgrades seem endless in this fully appointed home. Guests are initially greeted by an open floor plan that allows a perfect flow between the great room, chef's kitchen and the tranquil outdoor space complete with outdoor kitchen. As a focal point, the kitchen is highlighted by Eu"
"Rare New Luxury Single-Family Home on Westside in highly sought after Playa Vista, the center of Silicon Beach. 3 Bed, 3.5 Bath with private elevator, 2 Car Garage and Guest Space. Hardwood floors and designer tile throughout with upgraded carpet in bedrooms. Chef s kitchen with Jenn-Air appliances, Quartz Counter tops and contemporary cabinetry. Modern Tech features including the Connected Home that allows control of front door locks, lights and the Multi-zoned Honeywell Lyric th"
"Welcome to Skylar, a modern & sophisticated 4 bed 3.5 bath 2 story plan 3 condo that has it all. With nearly 2700 sq ft of luxury, Skylar offers a unique LEED Platinum design w/ only 3 units per building, Solar panels, tankless water heaters & Electric vehicle hook ups. Direct street access, direct access from your private 2-car garage & access from the building elevator. This 2-story home has 1 bed, 1 bath & living room on the ground level. 3 spacious bedrooms & 2.5 baths on the 2nd floor, chef"
"Best Priced House in Playa Vista!! This Icon home boasts 3 bedrooms ea. w/ private bathrooms, an office, living & family rooms, as well as modern & refined style throughout. The living room flows into the dining area/chef's kitchen, which is equipped w/ a dine-at island, Italian porcelain counters & SS appliances. Open the French doors to a tranquil backyard water feature & custom landscaping. Head to the 2nd level master suite to enjoy serene views of the Playa Vista community from the balcony." 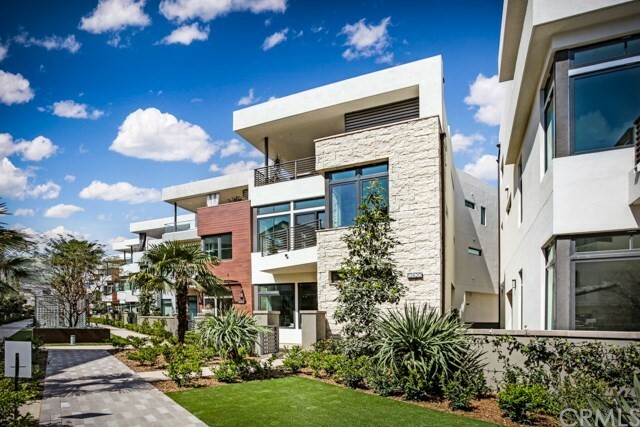 "Welcome home to this gorgeous, plan 3 courtyard-facing townhome located at Mason in Playa Vista! Arguably the MOST upgraded: customized like a model w/framed windows, stairway woodwork, upgraded cabinetry, porcelain wood-look tile flooring and more! Living area features custom backlit entertainment console, ceiling speakers & bar w/Viking wine fridge & display shelves. Chef's kitchen with S/S Viking appliances, custom quartz counters, eat-in island & pull-out drawers for incredible storage! Spac"
"Highly upgraded and luxurious home in the Skylar Community in the heart of Silicon Beach, Playa Vista. Excellent condition and ready to move-in. This home features rich, dark European Oak hardwood floors that flows seamlessly from the living areas and into the kitchen. Kitchen features countertop made of beautiful white textured quartz, a durable surface that resists staining and easy to maintain. Other upgrades include Thermador appliance package, accent lighting under cabinets that shows off t"
"Presenting an exciting opportunity to own a stylish & sophisticated 4BR home in Playa Vista. Conveniently located across from the new Google Hangar and future Google campus; only 3 blocks from Whole Foods and Runway Retail! This home features an open and expansive floorplan. The Family Room, Kitchen, Dining Room, Master Bedroom plus two additional bedrooms are all located on a single level. A bonus 4th bedroom is located below, with its own full bath, private entrance and plenty of windows - per"
"Nearly new Playa Vista home with coveted priority admission and short walk to flagship public elementary school (Loyola Marymount University partner school). Stunning views of the bluff from every floor. Main floor boasts spacious living room with wood flooring, large balcony, fireplace, large dining room with second full balcony, gourmet kitchen with eat-in island, caesarstone countertops, architectural glass backsplashes, limestone floor, stainless steel appliances, gas cooktop, ample cabinetr"
"Stunning Mason at Playa Vista shows like a true model! This 3 bedroom single level home offers a beautiful open floor plan spread over 1816 square feet with bluff views from the living room. The entertainer's kitchen with oversized kitchen island includes quartz countertops, beautiful white soft-close cabinets, and Viking stainless steel appliances. The living area opens up to a useful patio perfect for relaxation. The master bedroom flows into an expansive and beautiful master bathroom with dua"
"Sophisticated 3 bedroom 2 bathroom single-level condominium in the sought after and recently completed Camden complex at Playa Vista. This unit boasts an amazing open floor plan with no shared walls, tons of natural light & three true bedrooms two of which have large walk-in closets. The spacious gourmet kitchen offers a large island, quartz counter-tops, custom tile back-splash, stainless steel appliances, custom cabinetry & handset ceramic tile flooring. The master suite features an over-sized"
"This sophisticated 3 bed, 3 bath home offers an impressive 2,617 square feet of luxury and livability in a fantastic Playa Vista location. Step through the front door to a magnificent great room with soaring ceilings, a stately fireplace, and large windows infusing the space with light. The gracious layout features three beautifully scaled rooms, boasting opulent design details such as built-in desk and storage space and warm hardwood floors. The upstairs master suite includes an impeccably reno"
"The Dorian, most sought after building on Crescent Park. Spacious 3 bedroom (3rd bedroom convertible den) plus 2.5 baths. Open floor plan has living/dining area and center island kitchen/family room. Fireplace in living room, large master with walk-in closet. Single level corner unit, no common walls, west/north/east facing. Side-by-side parking. Building amenities include club room, lounge, gym, outdoor fireplace and extra storage. Large grassy park in front, short walk to Center Pointe Club. L"
"Welcome to Playa Vista, Silicon Beach! This luxurious urban lifestyle awaits you in this opportunity to own a spacious 2 beds 3 FULL baths plus den(*can be easily converted to 3rd bedroom) with 2,617sf living space. This condo located in the desirable art-deco style Metro building. Elegantly upgraded home features soaring ceiling, fireplace, spacious family room, balcony overlooking scenery park, downstairs den which can be converted to 3rd bedroom. Come and see what Playa Vista Community has to"
"Perched at the top floor of The Dorian is the perfect home for those who would like to have a quiet, amenity-laden oasis in the center of all the action.The south-facing main floor is perfect for entertaining with hardwood flooring, lg. entryway, spacious kitchen w/upgraded stainless-steel appliances and marble backsplash, roomy living room with fireplace, dining area, balcony, and half bath. Descending down to the 2nd level features a laundry rm, secondary bdrm w/en-suite full bath, and the mas"
"NEW CONSTRUCTION!!! Seabluff is an inspired new residential community in the concert park area of Playa Vista offering open floorplans, designer selected finishes, located just steps away from retail, entertainment, and recreation activities. Homes come fully equipped with Kitchen Aid stainless steel appliances: range, dishwasher, microwave, built-in refrigerator and stackable Whirlpool washer and dryer. Unit 508 is a light and bright, west facing, top floor condo with beautiful finishes featuri"
"NEW CONSTRUCTION!!! 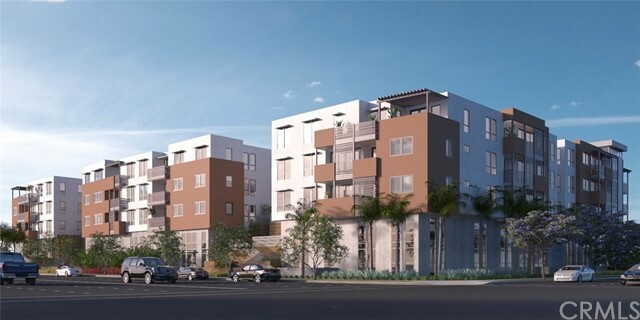 Seabluff is an inspired new residential community in the heart of silicon beach, offering open floorplans, with designer selected finishes, and located just steps away from retail, entertainment, and recreation activities. Homes come fully equipped with Kitchen Aid stainless steel appliances: range, dishwasher, microwave, built-in refrigerator and aslo include stackable Whirpool washer and dryer. Unit 312 is a light and bright south facing home overlooking the serene, tree li"
"Live, work and play at the Silicon Beach in Playa Vista. With a beautiful front facing view of Crescent Park which boasts lush landscaping and fountains, the 2-story modern floor plan offers an abundance of natural light given by the large windows and high ceilings. 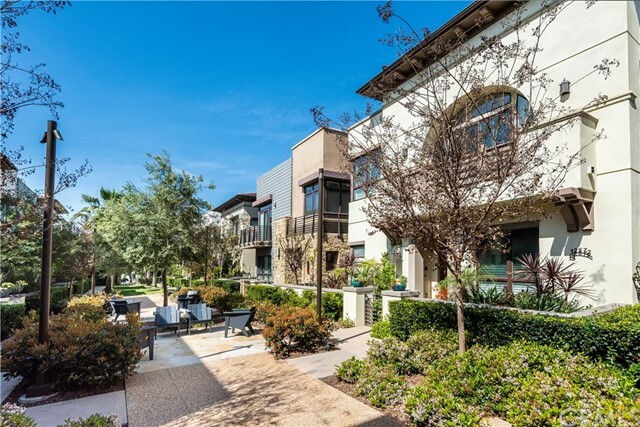 Situated as one of the most luxurious and intimate buildings in Playa Vista, the quiet 2 bedroom, 2.5 bathroom boast designer finishes with a fireplace, stainless steel appliances, ensuite bathrooms and spacious walk in closets. Unit"
"This pristine townhouse situated across from the park in Tapestry I has the perfect layout with 2 generous sized bedrooms, a 2-car attached garage, & a private entrance! This highly desirable unit features a spacious sun-drenched living room, & beautiful chef's kitchen with granite counter tops, custom cabinets, & stainless steel appliances, & large balcony off of the dining room. The upstairs showcases the master suite & second bedroom both with en-suite bathrooms. Live in modern comfort with a"
"Coronado at Playa Vista! Beautiful 3 bedroom, 2 1/2 bath home spread over 1630 sq ft. This amazing home is accessible from your own private entrance off of the first floor balcony. Recent updates throughout such as a brick accent wall in the dining area, new light fixtures, hard surface in every room and more. The entertainer's kitchen is outfitted with stainless steel appliances, pantry, beautiful backsplash and plenty of cabinet space. Upstairs the oversized master suite includes dual vanities"